Confession: I somehow made it to age 25 without ever reading "Pride and Prejudice." My high school was swapping around English curricula when I was a Sophomore/Junior, which meant I missed the staples of English fiction - no Austen, no Dickens. The more remarkable fact is that I also made it to age 25 without being even remotely spoiled for what the book was about. All I knew was that there was a character named Lizzie Bennet (thanks to press on The Lizzie Bennet Diaries), another character named Darcy, and I guessed they probably ended up together. That was it. When two dear, book-loving friends discovered this, they were appropriately shocked. And promised that if I read the book this summer, they would reward me with a book chat over tea. I was in. I dug my copy and dug in. It's a good thing I waited on this book. High-school-Nicole was super into fantasy, science fiction, and current literary fiction. Not so much into 19th-century prose. Even when I sat down to read this a few weeks ago, I was frustrated by how long it took me to get through a page. Plus, the character names are confusing - you can call the same person by his first name, last name, or the land he owns. Headaches ensued. But once I got past all that - or, more accurately, gave up and checked out the audiobook - the charm and wit of the novel carried me pleasantly through. 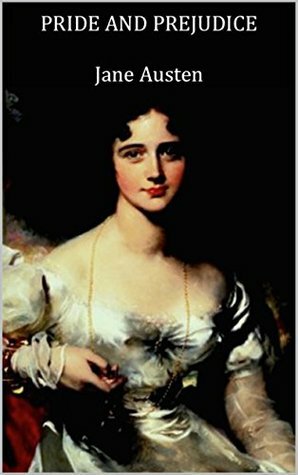 Austen is a master of capturing the dozens of little ways people snipe and snark at, gossip about, and generally interact with each other. The behavior of her characters rings true and even feels familiar over 200 years later. Circumstances may have changed, but as social beings, we still relate to each other in many of the same basic ways as her characters in this novel. I'm excited to read the rest of Austen's cannon, and super excited to finally read/watch all of the adaptations. I marathoned "The Lizzie Bennet Diaries," and am waiting for Kyle to finish reading "Pride and Prejudice" himself so we can start comparing adaptations. If you have a favorite, definitely let me know! Verdict: Affirmed, it's a classic for a reason. "Pride and Prejudice" by Jane Austen. Originally published January 28, 1813. Audio narration by Carolyn Seymour, published March 10, 2005 by Blackstone Audio.